Er.... Hi there... Private,Rico,and Kowalski watch Skipper drink coffee... with great interest. Looks a little creepy though :P. Wallpaper and background images in the पेंग्विन्स ऑफ मॅडगास्कर club tagged: tangled in the web penguins of madagascar coffee creepy. Skippa: Hey, you three! Get yourself another cup of coffee! What episode was this again? 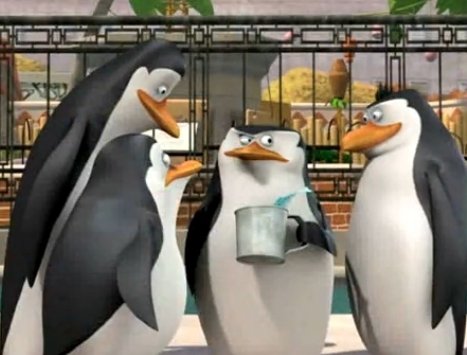 Kowalski:Sorry skipper but blowhole put a curse on us to look at your coffee. HaHa I love that photo! !Cute ^^ So that happened they want some too Skippa!! कार्टून गाना the nick song! Give me your dark, deady secrets!